Jane and Ogden W. Confer established an endowed scholarship fund in the 1990's that is still making a difference today. 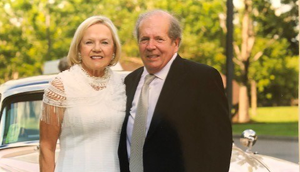 In an interview with Jane and Ogden W. Confer, they made it clear that they have deep roots in Mankato and a strong connection with the Mankato Area Foundation (MAF). In 1974, Ogden’s father (Ogden P. Confer) was a founding board member of our community foundation. In 2015, MAF recognized their family’s long-standing dedication to local philanthropy by naming a community room in honor of Ogden P and his wife, Betty, in MAF’s Shared Spaces—a Center for Nonprofit Collaboration. In addition to years of devoted volunteer service, Ogden P and Betty ensured their legacy to this community through the bequest of an endowed fund to MAF—a fund that continues to support grants to community initiatives. Following that example, Jane and Ogden W. Confer have also been dedicated volunteers for the Foundation, each serving as board chair when MAF was still an entirely volunteer-run organization. They, too, have chosen to give back to this community through MAF, with an endowed scholarship fund to support local students choosing a liberal arts education.